1. 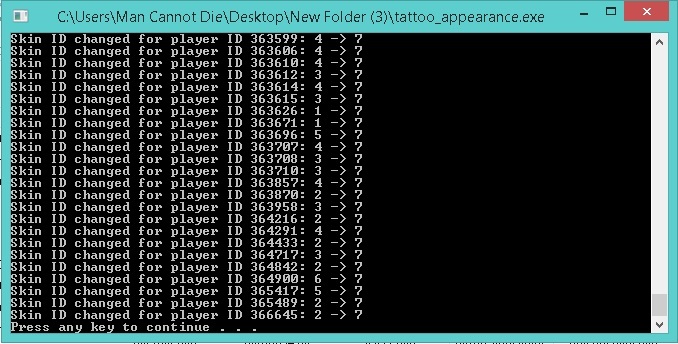 Enter the IDs of all the necessary players to file id_list.txt - one ID per line!! (see an example in archive above). You can enter as many IDs as you want. 4. Done - your PlayerAppearance.bin from step 2. is now patched with skin IDs set to 7. 2. This utility edits PlayerAppearance.bin in-place - it doesn't create any additional copies - make your backups before using this tool! !